Anu Gali is an Engineering Leader at Uber leading Business Insights. 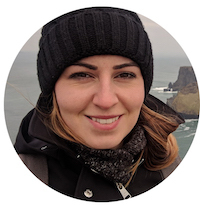 Her team is responsible for Rides/Eats Trip Forecasting, helps business Optimize budget across Operations and Business units and predicts Customer Value across all our users. 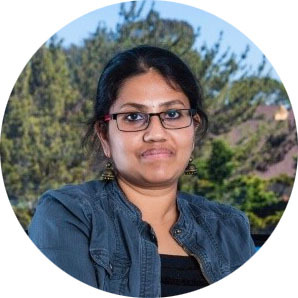 As a tech leader, Anu has built high performing engineering teams from the ground up and steered large-scale projects in Data, ML, Web, e-Commerce and Mobile technologies for companies such as Uber, Groupon, Shutterfly, and Adobe. Anu strongly believes in having an entrepreneurial mindset and in helping others to reach their potential. A few years back, in her spare time, she co-founded a company and released a social entertainment app “IntoMovies”. She also volunteers for a number of charitable organizations and STEM programs. Catherine leads strategy for Libraries and Museums within Microsoft’s Education division. In this role her goal is to leverage technology to further the missions of Libraries and Museums globally in attracting visitors, optimizing the visitor experience, supporting research, serving the community, improving operations and exploring emerging opportunities for Libraries and Museums as their role is defined in a continually changing world. Catherine was most recently Chief Digital Officer at the American Museum of Natural History in New York City. In that position, she led the digital transformation of the Museum for 7 years, as part of a 25-year career in technology across a variety of industries. Catherine has had a lifelong love and interest in technology and its ability to optimize outcomes across all aspects of life and society. Catherine is originally from Sydney, Australia, holding a B. Business (Accounting) from the University of Technology, Sydney. She is currently studying for a M. Sc Data Science from Syracuse University. Deneen currently serves as Senior Vice President, Chief Information and Product Security Officer for GE Aviation in Cincinnati, Ohio. She is responsible for leading the overall approach to securing GE Aviation’s business operations, products, information and assets as well as ensuring compliance to global regulatory and contractual requirements across the entire Aviation business portfolio. She also has responsibility for implementing secure and compliant technology platform solutions and services enabling the digital industrial. She has developed advanced capabilities in Cyber Security Operations, Cyber Intelligence, Threat Management, IP Protection, Data Loss Prevention and Regulatory Risk Management. 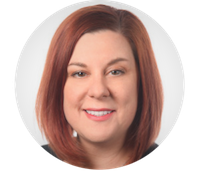 Deneen brings more than 15 years of experience in digital technology, cybersecurity, and project management space. In 2015, Deneen was named GM, Global Chief Technology and Risk for GE Aviation and, in 2017, she was promoted to GM, Global Chief Information and Product Security for GE Aviation and GE Digital. In this role, Deneen served as a technical expert and advisor to GE’s most senior leaders on cyber risk related to products, services and ongoing operations. She began her career with GE Aviation in 2001 as a senior technology manager. In her time with GE, Deneen has held roles of increasing responsibility across multiple GE businesses, including Aviation, Corporate, and Power. Deneen earned her bachelor’s degree from Kent State University. She is passionate about diversity in the tech industry and promoting STEM education. Originally from a post production film background, Diana made her way into IT and Security through an unconventional path starting at CTV, a television network in Canada. After joining Shopify, she became more heavily focused on people centric security awareness while working in an open culture. During this past year, her role shifted into managing authentication services at Shopify both internally and externally. In her spare time, Diana is exploring the world of entrepreneurship by selling her handmade pottery. Elizabeth Baxter is a current senior studying Computer Information Systems at Arizona State University and Barrett, The Honors College. During her time at ASU, she has developed a strong passion for teaching technology tools through The Department of Information Systems Club. Her club’s community outreach specifically targets the younger generation, teaching elementary school kids from Title I schools how to code. 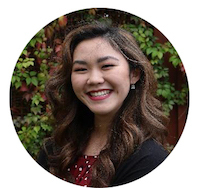 As Vice President of Women in Technology, Elizabeth works to promote female empowerment in the tech space through professional panels, speed mentoring events, and speaker lecture series. After graduation, she will be attending law school with hopes to discover how technology intertwines with the law. 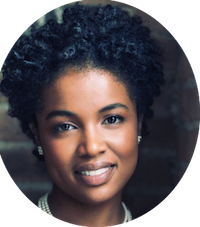 Etosha Ottey is the founder of Chicago Black Women in Tech (CBWiT), a not for profit organization with a mission to increase the number of black women in tech careers. Prior to starting CBWiT, Etosha was an Industrial Engineer at NASA’s Kennedy Space Center and an analytics consultant for GE Healthcare. Etosha is the 2018 Chicago Foundation for Women, Pioneer of the Year Honoree. The Pioneer Award recognizes leaders under 30, whose work is already impacting women and girls and shows great promise for the future. She currently serves on the President’s Council for the Museum of Science and Industry in Chicago. 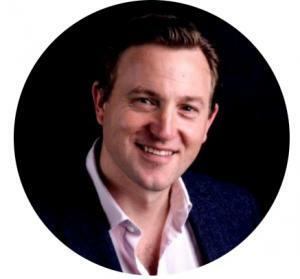 Gareth is co-founder of The Bravest Path, a courage-building consultancy working towards a world where we all have the bravery to ask for what we want, take smart risks, and lose our fear around hearing “no”. 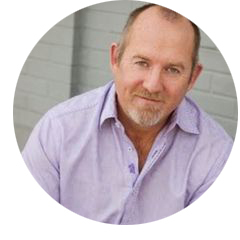 Gareth is certified in the research of Dr Brené Brown and will be leading a highly interactive workshop on overcoming perfectionism and imposter syndrome to accelerate your career. He will also be launching “My Bravest Year In Tech” – a ground-breaking 12-month development programme for your female talent that will see participants back on this stage in 2020 to celebrate their journeys and inspire women throughout the industry. Jenai is a multi disciplinary technologist and strategist with 20 years experience in architecting, building, securing and managing systems at scale. 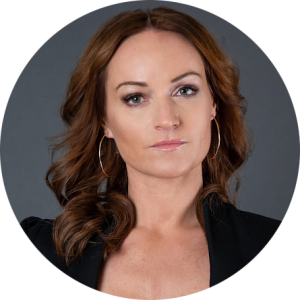 She has designed and operated in the real time over the top streaming ecosystems that power live sports, gaming and entertainment. She’s also worked in biomedical manufacturing and laboratory diagnostics, healthcare tech and robotics in agriculture. Jenai’s worked with artificial intelligence in cyber defense systems, AI’s impact on diversity and inclusion and improving human empathy towards machines. She is a digital transformation expert with expertise in enterprise automation. She has built and run architecture, innovation, engineering, security and operations teams and is a classically trained cyber security expert. 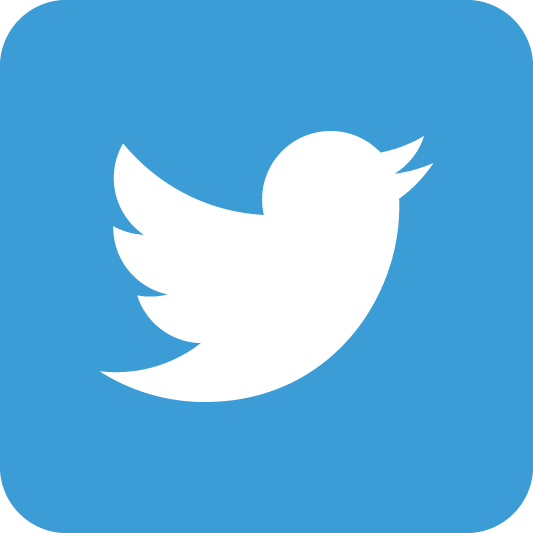 Jenai has worked for large enterprise brands including DIRECTV, Electronic Arts, Beckman Coulter and international investigations firms such as Kroll. Jennifer is the Chief Executive Officer of reTHINKit Media, where she co-produces independent work like the Chasing Grace Project and partners with clients to identify their unique story, produce content in multiple formats to support those stories and to amplify them through strategic PR and social media programs. Her career has been dedicated to telling the stories that have defined a generation of technologists, from the men and women who created Linux and started Creative Commons to Google’s first I/O Conference and more. 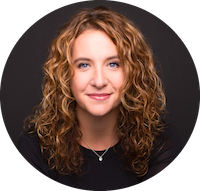 For more than 17 years, Jennifer has been a woman in tech and has been recognized for her storytelling acumen by BusinessInsider, who ranked her among the best PR people in tech for her video storytelling works. She was most recently VP of communications at The Linux Foundation, where she oversaw brand storytelling and team of PR, social media and video production professionals. Prior to that, she was vice president at Page One PR and held posts both in house and at agency in communications. In addition to her BusinessInsider recognition, CIO.com identified her as one of the most influential women in open source. Judith Spitz, Ph.D. is currently the Founding Program Director of the Initiative for Women in Technology and Entrepreneurship in New York (WiTNY) at Cornell Tech; a partnership between Cornell Tech, the City University of New York and a growing list of corporate partners with a mission to facilitate, encourage and enable a significant increase in the participation of women in both higher education and entrepreneurship in fields related to technology in the New York market. She is also a member of the Advisory Board of ASAPP, an Artificial Intelligent company that drives digital transformation in customer care. Prior to this, she was the senior vice president and CIO for IT Strategy and Planning at Verizon responsible for developing IT-enabled business and technology strategies to drive competitive advantage in the marketplace. From 2005 – 2011, Judy served as CIO for Verizon Enterprise Solutions. Prior to her career in the communications industry, she was a research associate at The City University of New York in the Center for Research in Speech and Hearing Sciences and an adjunct professor at Hunter College. The New York Business Journal listed her as one of its 2018 Women of Influence. In 2017, she received the Above & Beyond Award for Outstanding Women in Business from City & State New York. In 2012 she received the Leadership and Service in Technology award from PACE University and the Purchase College Entrepreneurship Award. InfoWorld named her as a 2009 CTO 25 award winner. Computerworld magazine put her on its CIO 100 Honoree list in 2007 and CIO Magazine placed her on its “Ones to Watch” list in 2005. Her current passion is driving programs that will address the urgent need for more women in technology and topics related to the leadership skills needed in the digital economy. 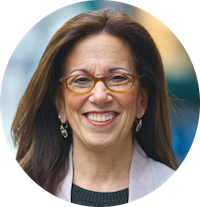 Katie Donovan is the pay equity expert who started the movement to ban using salary history in hiring and compensation decisions. In the two years since Massachusetts was the first state to pass the provision, Donovan drafted, 12 other states and 10 localities have banned or restricted salary history’s use. Donovan’s and her business, Equal Pay Negotiations (EPN), understand that many best practices in hiring, promotions, and compensation assume equality already exists. This assumption prevents achieving the goal. Donovan speaks and conducts workshops on equal pay, salary negotiations, and unintended biases in hiring at such venues as Harvard Business School, MIT, NASDAQ, Society of Women Engineers, and Human Resource Association of Southern Maine. She is a sought-after commentator on pay equity and women in business by media including BBC, NPR, Hollywood Reporter, Boston Business Journal, The Washington Post, and more. 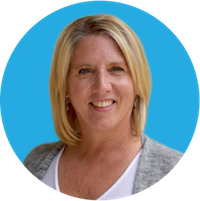 Leah Kraus has 30 years of experience in technology and education. Her work prior to being a CIO included: high school business teacher, K-12 program coordinator and director user services. In 2001 she was named CIO at Guilford College. From there, in 2007, Leah was hired by UNC Wilmington as Associate Vice Chancellor and later Interim CIO. Leah now serves as the CIO at North Carolina Central University where she started in 2014. There she is responsible for providing innovation, vision and strategic leadership for the campus. In 2015 Leah was named Best CIO Public University by Triangle Business Journal. 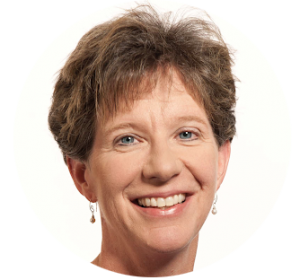 She has served on many industry and non-profit Advisory Boards and has been an active speaker at industry events. She is engaged in digital equity in Durham with a passion for digital literacy, access and inclusion work. 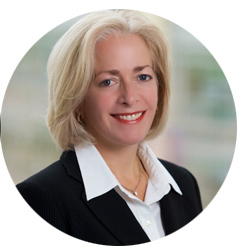 Lisa is a senior executive at Accenture who leads our Global Security Research and Development for Accenture Technology Labs. 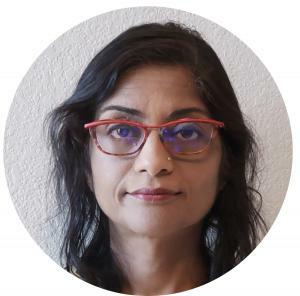 As the lead for Global Security Research and Development, she curates and manages an portfolio of Cyber research including Threat Intelligence, Advanced Cyber Hunting, Orchestration for Resilient Cyber Architectures, Edge Analytics, Analytics and Machine Learning, Active Defense and Security of the Industrial Internet of Things. She joined the Lab from our consulting Financial Services North America, where she led our security efforts in Banking and Payments. She has over 28 years of information security experience, with over 18 years focused in financial services and over seven years as an active member of the Financial Services Sharing and Analysis Center (FS-ISAC) and the Financial Services Sector Coordinating Council. Her experience includes five years at Fannie Mae leading Information Security Governance, seven years leading national security consulting practices at Predictive Systems (INS), Guardent (Verisign), four years PriceWaterhouseCoopers and nine years the National Security Agency. Her work at the National Security Agency included assignments to the White House Communications Agency and to the Surveys and Investigations Staff of the House Appropriations Committee. She graduated from Lehigh University with a Bachelors of Science in Electrical Engineering and from George Washington University with a Masters of Science in Engineering Administration. She is recognized by ISC2 as a Certified Information Systems Security Professional (CISSP) and by the NSA as an INFOSEC Analyst and a Cryptologic Engineer. Marie Wiese is a marketing executive and founder of Marketing CoPilot, an award-winning digital marketing agency that has helped hundreds of companies turn their websites into lead generation and sales machines. She is a Growth Advisor with start-ups at innovation centers in Ontario, Canada, host of the podcast Women Talk Tech and the author of the award-winning business book, You Can’t Be Everywhere: A Common-Sense Approach to Digital Marketing for Any Business. 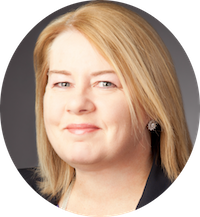 Marie has worked in the technology sector for over 25 years and focuses today on the digital transformation of the sales and marketing function. She is a frequent speaker on this topic at tech conferences across North America. Marie lives just outside Toronto, Canada and enjoys travelling around the countryside in her 1978 Westfalia campervan with her granddaughter Audrey. 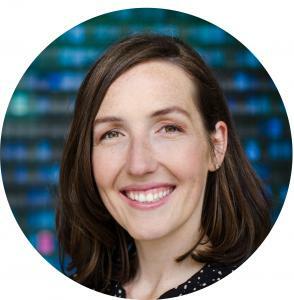 Marieke is the founder and leader of UserTesing’s Product Insights Team, overseeing the company’s Data Science and UX Research efforts. 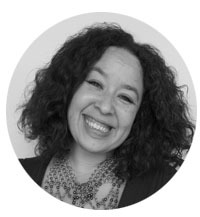 She has spent over 10 years helping companies grow through human-centered design. Formerly a consultant at Nielsen Norman Group, she’s trained thousands of professionals on the value of gaining a deep customer understanding. Nabila is the Global Marketing Director at FDM Group, the market leader in the Recruit, Train and Deploy (RTD) sector, with centers in North America, EMEA and APAC. Nabila has progressed into wearing multiple hats at FDM, reporting directly into the Board of Directors. She is responsible for marketing planning, strategy and budget control for the department, overseeing all marketing staff and marketing activities worldwide. Nabila initiated FDM’s global Women in Tech campaign and plays an active role in encouraging, supporting and promoting diversity in the workplace. Nancy Harris is Managing Director of Sage’s North America business, where she oversees the performance of 2600 colleagues, a 500k customer base and 27k accountants in the U.S. and Canada. Harris has been instrumental in advancing Sage’s presence throughout North America, strengthening relationships with and cultivating an exceptional experience for the company’s partners, accountants and customers. Harris is a strong internal advocate for diversity and inclusion and is a recognized mentor within the company. Harris joined Sage in 2011 as Vice President and General Manager of Sage 50 Accounting Canadian Edition (formerly Simply Accounting), where she oversaw the small business division in Canada, and drove strategy and direction for key functional areas, including research and development, sales and marketing. Harris has 30+ years experience leading large SaaS and enterprise software companies in sales, marketing and partner development. Prior to joining Sage, Harris was Chief Operating Officer at ESO Solutions, a private, SaaS-based software solutions company serving the emergency management services market. At ESO Solutions, she was responsible for the company’s day-to-day operations, specifically in the areas of client services, marketing, product management and product development. 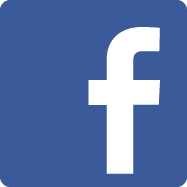 Harris also spent nearly a decade with Asure Software, a workplace technology provider, in progressively senior marketing, strategic planning and general management roles, culminating in her appointment as COO. Under Nancy’s leadership, Asure Software executed a strategic acquisition that doubled the company’s revenue in the first year. Neal O’Farrell is one of the world’s longest serving security and privacy experts, now entering his 37th year in the industry. He’s passionate about finding more creative ways to attract more high school students, and especially young women, to the world of cybersecurity. He is the founder of Schooled In Security, a non-profit initiative to explore better ways to expose high school students to the worlds of cybersecurity and privacy. He was an advisor to the nation’s first cybersecurity apprenticeship program, in California, and is a member of the National Initiative for Cybersecurity Education K-12 working group. Paula Hunter manages the day-to-day affairs of the NFC Forum under the direction of the Chairman, Officers, and Board of Directors with responsibility for strategic planning and direction, membership development, budgeting, evangelism for the Forum and its mission, and outreach to liaison and vertical market partners. 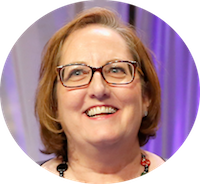 She has almost two decades of executive technology association management experience beginning in 1999 when, while working for Compaq, she was a founding board member for the ASP Industry Consortium. Ms. Hunter has served as Executive Director of the NFC Forum since 2013. Her experience also includes key roles in several technology companies, ranging from small start-ups to large multi-national corporations. She won the 2018 The Women in IT Awards in the North American Business Leader of the Year Award category from Information Age. Ms. Hunter is a frequent presenter at industry events and contributes regularly to TechTarget’s IoT Agenda. Rekha is a strong advocate of Women in Tech, Data and Product. She holds an MBA from University of Arkansas, United States and Bachelor of Technology from Anna University, India. “I am board member of Vital Voices Europe and I am ambassador (as one of Sweden’s tech profiles) for Reach for Change latest venture: Bridgit – both of these positions allows me to engaged in mentorship, leadership and women empowerment – there conversations I find relevant and important to support and shed light on as an impact diplomat, brand and social entrepreneur. This year is also the year my global tv interview series ‘The Game Changers’ – impact through storytelling will be put into motion. It’s about having empowering, inspirational and authentic conversations with global thought leaders, role models and game changers connected to the global causes they support and are engaged in. Sadia Halim is the Head of CIB Americas Innovation at BNP Paribas. 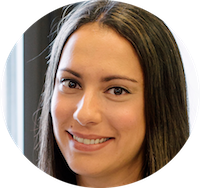 Sadia has been with BNP Paribas for 7 years and was appointed Head of CIB Americas Innovation in April 2017. In this role she manages a team that is responsible for the collaboration, acceleration and execution of activities that foster and promote an innovative culture across the platform. This entails researching and developing capabilities in emerging technologies such as blockchain and AI, in addition to building and maintaining external relationships with the fintech ecosystem. She has 17 years of experience in the financial industry across research, asset management, and banking. She joined BNP Paribas in 2011, as a Senior Banker in the Financial Institutions Client Coverage Group based in NY with responsibility for a portfolio of banks and finance companies. Within FIC she focused on relationship management, client strategies, industry issues, and product development. In her role she looked across regions and products, delivering the full BNP Paribas platform to U.S. financial institutions. She is a CFA charterholder and a member of NYSSA, as well as a member of the New York Academy of Sciences. Additionally, she is a member of the Executive Committee of the Women’s Leadership Council of the United Way of NYC and a board member of Biobus, a 501(c)(3) non-profit organization. Susanne is a successful entrepreneur who started her journey in the comfort of her own home, making a app for her daughter without any programing or IT skills. Today, Susanne is the founder of multiple companies and apps including IGOTCHA , Stockholm App Lab, SBDM invest and Birgersdotter Innovate. Susanne has been nominated several times for the most powerful female and business founder. Susanne has a passion for helping and supporting other women in the industry and wishes to empower and encourage the ones that need it. 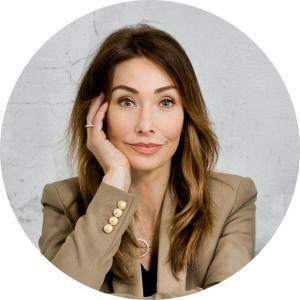 She has had fails, challenges and success on her way and her insights into the world of entrepreneurship are valuable to entrepreneurs, women in tech and businesspeople. Uma Narayanan, Senior Director – Technical Solutions Architecture, NTT DATA Services. Uma Narayanan is the Senior Director, Technical Solutions Architecture for NTT DATA Services. 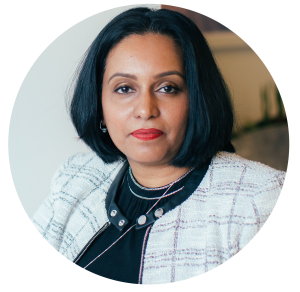 In her role, Uma serves as a consultant and innovation advisor for clients, responsible for delivering technology solutions that provide business value. With more than 15 years of IT experience in financial services, Uma leads multiple practice teams to collaborate and design next generation solutions, such as artificial intelligence and machine learning, to achieve client goals. Recently, Uma oversaw a team of architects, product managers and business process specialists in the implementation of an AI-enabled solution that helps create process efficiencies for financial services clients. Prior to NTT DATA Services, Uma was the Associate VP of Application Development at Citigroup North America. Uma has a Bachelor’s in Computer Science and Engineering, as well as an M.B.A. from the Central University of Pondicherry, India. 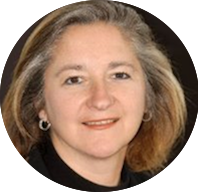 Valerie is a Managing Director with Accenture Security. In her role she leads Accenture’s North America Financial Services Security business, which spans strategic consulting, proactive risk management and digital identity to cyber defense, response and remediation services and managed security services. 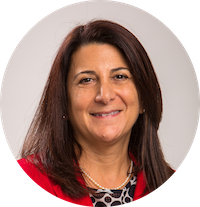 Valerie has over two decades of of experience in in both the public and private sectors, developing and implementing enterprise and sector-wide cyber risk management strategies and building and leading public-private partnerships and financial regulatory oversight strategies.